To be fair, the younger characters honestly never "went away." They've just been placed in the background as fodder for screams and scares. There was a time in the genre when the "kid" was the hero! Like how the classic female heroine was so big back in the day, too. Those times ended, however, as the trend disappeared from the likes of the Goonies and Monster Squads of old, and we thought we'd never see another adaptation of Stephen King's IT ever come to theaters (because the first one never did). But We Did, and Boy Did It Deliver! Chances are good this kid rings a bell with you (but only if you saw that IT remake). Relatively unknown, you wouldn't believe that this kid has a gig of a lifetime now. Arguably bigger than anything Mr. Muschietti could muster. Check it out right here. Same here with this one. 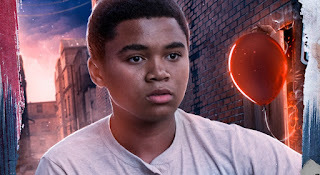 But he had the pivotal role in IT, launching him to super-stardom probably even better than anyone on STRANGER THINGS (although wait until season 3 comes out, and then I'll be eating my words). 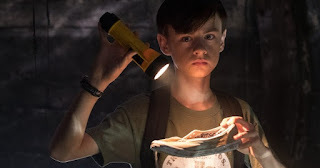 Jaeden's pushed the envelope big time, and here's why. Would you believe that this kid may actually have a larger repertoire than Mr. Scott up there? Well, she does. Just another reason why the kid actors out there are total platinum in this industry and genre. Plus she gets to play one heck of a bad seed as you'll read right here. Thank You, STRANGER THINGS, for Bringing the Love of Horror Back! And this might just be only the beginning. Sure, we got a whiff of it with things like THE OMEN and all of that, but any recent remakes (and the obvious television show) didn't deliver like they should've. But maybe that will all change. Talents like this don't go unnoticed. And the horror genre's looking good because of it.